Each one of us is a circle. In this circle we collect and enclose, as if they were little pebbles, all of our loves, interests, aims, dreams, preoccupations. We are an amalgam of many elements put together as a result of random events, choices, and coincidences that have created the history of our life. And because of the way we are and the interests we have, we choose to seek interactions with people with whom we have something in common. We pursue acquaintances, build relationships, form friendships, and, most importantly, we communicate with others by finding a common ground, or rather a common area, with them: We seek out people who have the same or similar pebbles in their own circle. We then intersect with the worlds of others – with their circles of pebbles – by meeting them at these common areas we share. 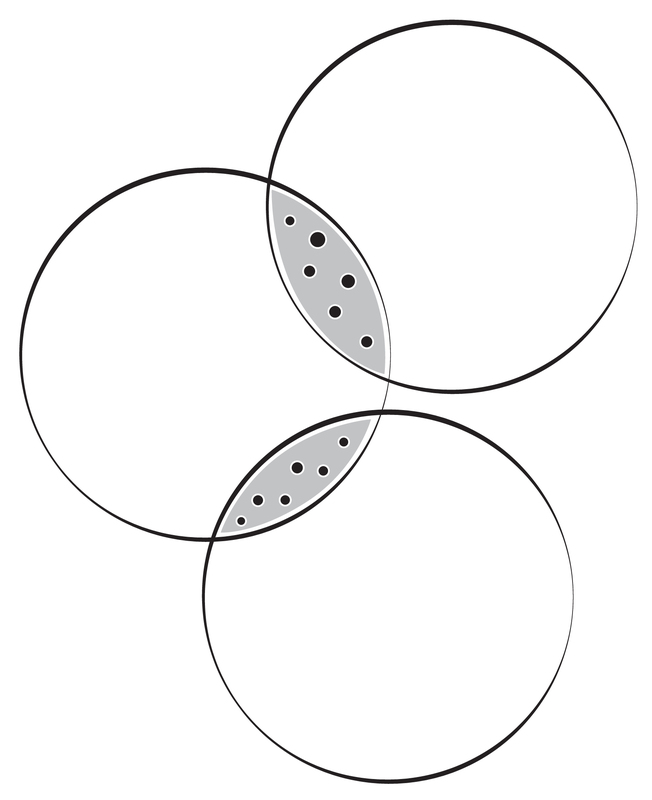 Our communication with others may therefore be likened to that of overlapping circles. 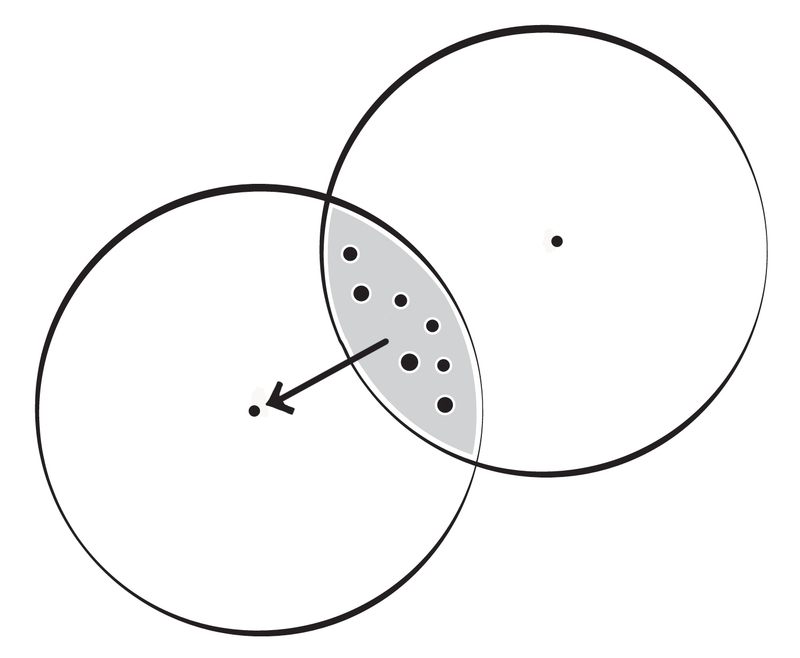 In the shaded area common to both circles – which, incidentally, is called “a union” in mathematics – we communicate with other people and start forming a union. However, although these common interests are the areas where we meet, they also delineate the limits of our communication. With the friend who shares an interest in politics, we may not share an interest in literature. With the company of friends we watch football together we may not go to the theater. Our circle only partially overlaps with that of most others, since each person on earth is a unique set of pebbles, a one-of-a-kind circle. Even with those close friends and family members with whom we have bonds that span decades, our common shaded area is not as extended as we may think. Furthermore, our communication evolves and changes as we grow older, since each one is adding different pebbles to their circle. There are many who divide people into categories based on the sets of pebbles they can relate to. Some are even high-nosed and picky, always choosing to associate with people from their same professional group or with people with whom they have the same hobbies. Others place emphasis on historical connections by choosing to associate their entire lives with the same old friends they had in high school, never seeking to expand their circle. Others choose to communicate and form bonds only with people of their same social class, or nationality, or even age. Such approaches to our communicating and bonding with others is based on a hidden yet utterly false assumption: that such associations are “normal” and “natural.” But the fact that they are easy and effortless, because they are presented to us by default, or because we simply imitate what everybody else is doing, does not make them any more normal or natural than any other bonds we choose to make. Actually, such a stance is very limiting and impoverishes our social as well as our personal life. By associating only with those with whom we can easily share our common interests, we stick to our small set of pebbles, never enlarging our world, and never increasing the number of points at which we touch Life. In the essay “Parallel Universes,” it was shown how our life can be infinitely expanded the moment we depart from our own universe (in this case, circle) to meet other new universes of activity in which many other people live – universes that lie completely outside our own world, our own familiar set of pebbles. But how are we to form relationships with people when we seemingly have nothing in common? Well, the simple answer is that there are no people with whom we have nothing in common! Actually there are no living nor nonliving objects in the universe with which we have absolutely nothing in common. With all inanimate objects we share the same atoms and molecules and we obey the same laws of physics (when we touch the fire we burn like the burning coal in the fireplace, and when we misstep while walking down the stairs…we roll like a stone!). With plants and animals we share basic sensations; we are all born, we grow, reproduce, die. With other mammals we share advanced sensations such as sights and sounds, as well as perceptions: animals have models of the world in their minds, like we do, not to mention they too experience love, anger, jealousy, boredom, excitement, and have social lives – as all pet owners know. And of course, if we share so many things with rocks, plants, and animals, it is self-evident that we have so many more things in common with our fellow humans if we consciously seek to find them. Most importantly, we all share our existence at the tip of time’s arrow. This simple realization makes us more open to approaching others whose circles of interests and loves seem distant from our own. 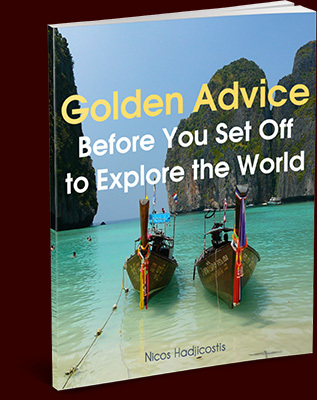 For we know beforehand that there must exist common shaded areas that are to be soon discovered if we have an open mind and an attitude of exploration. There are no boring people! Nor people who “are not for us.” They are only boring because we are boring! For we have boringly decided to consider our own interests and loves, our own limited set of pebbles, as the measure of what is interesting, important, valuable, and worthy of attention. Whenever we fail to find a common area of communication with another, let us think that the other may also think we are boring, for he too can see nothing in us of interest to him. But the shaded areas and the common pebbles we share with others are not the whole story of our communication and our bonding with people. The shaded areas show the extent of our communication, not necessarily the depth. For this is not to be found on the edge of the circle, but rather, like in all circles, or rather in all psychological mandalas, it is to be found in the center. Our communication and relationship with others begins and forms on the outer rim of common interests, but it always has the potentiality to move towards the center of our being. For within each small field we share with another there lie deeper truths that reveal the heart and soul of both the other and ourselves (The Little Things). This is so because from the center of the circle, which we may consider to be the soul of our being, emanates the substance of what and who we are. 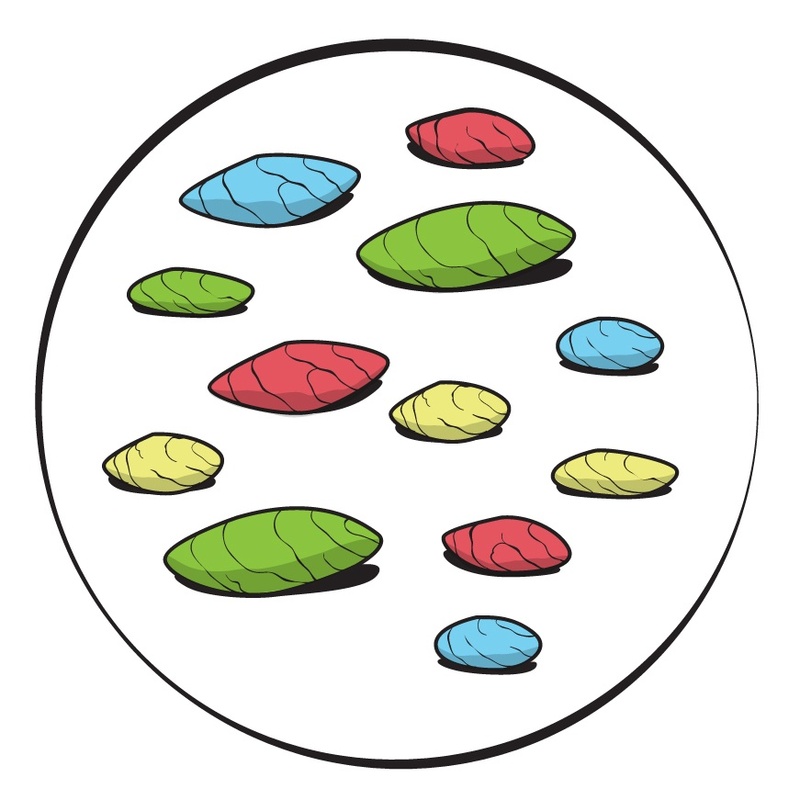 Although we all enclose a unique collection of pebbles, these pebbles are in some way connected to our center that has done the choosing and formed the collection in the first place. There is something of the center of a person in each common pebble, in each shared area of our overlapping circles. Therefore, we may consider each shared area as being a stepping stone (composed of many pebbles!) that has the potential to lead us to the other’s center. Through the common love we share with someone for jazz, we may end up gradually experiencing love for one another at the deepest level. Through the common interest in modern art we share with a friend, we may end up taking art lessons together, then start reading books together and discussing philosophy, and finally converge towards a common understanding and meaning of our life in the universe. Such movements indicate a motion from the periphery of communication and interactions towards the center. 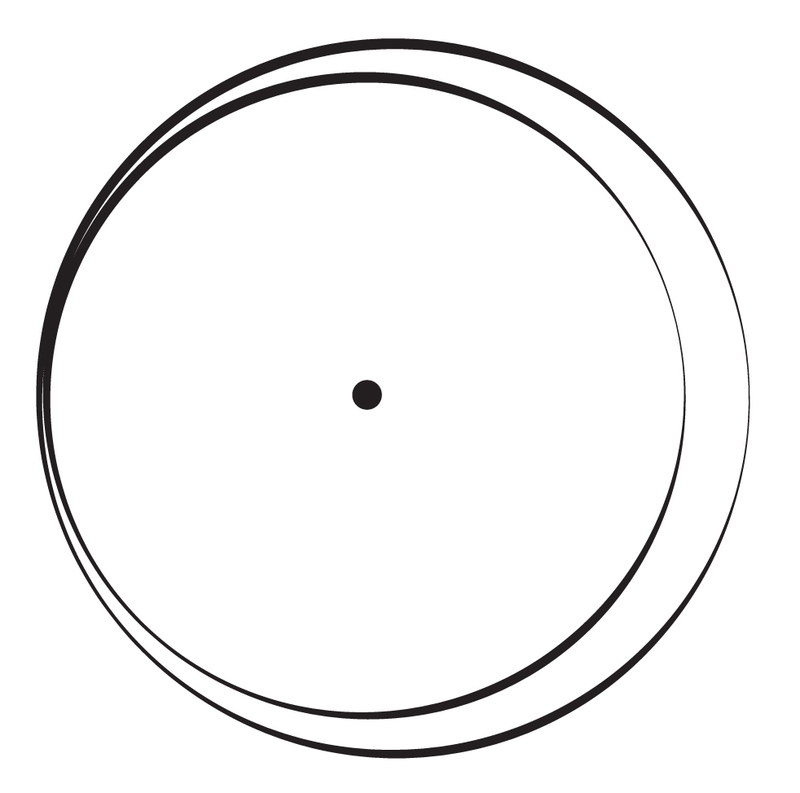 In the end, this leads to an identity of the two circles. We then find ourselves not simply sharing parts of our world with the other, but becoming one with him. 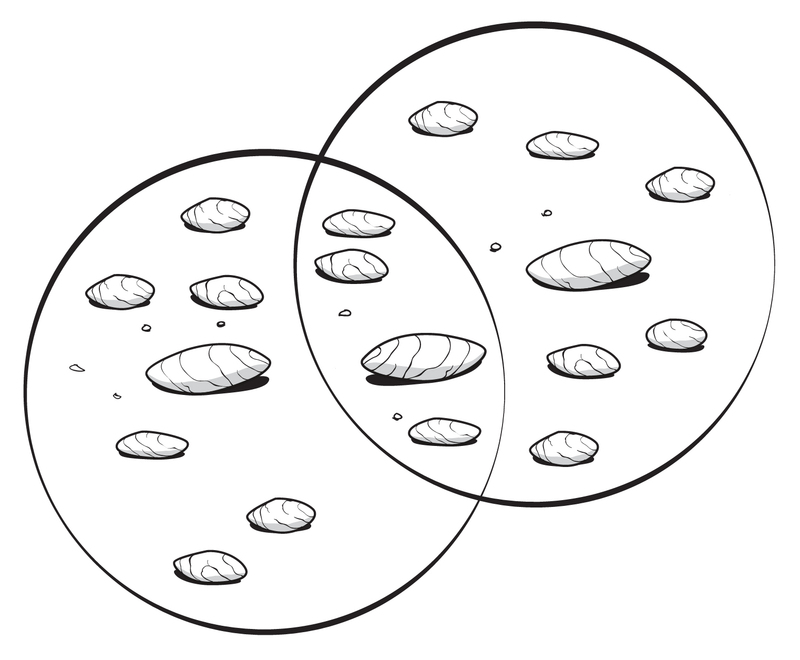 The two separate centers become one, even though they still remain the center of two different circles each enclosing its own set of pebbles. The analogy of the circle and all the subsequent schematics used here, offer, as always, a model that helps illuminate various ideas, but this model is not exhaustive, nor, of course, conclusive. For example, there still remains the mystery of how we may experience an identity with an-other, how we may become one with him at our very center while simultaneously remaining the center of our own circle, which encloses a different world from his. Yet we have all experienced such moments in our life – moments where all differences with the other seem to vanish at the heart and center of our being. We know this is possible, even if we cannot fully comprehend it. In one of the greatest movies of the last twenty years, Little Miss Sunshine, we see how a group of six completely different characters, who share almost nothing in common despite being family members, gradually come closer to one another during the span of a small journey in a van. 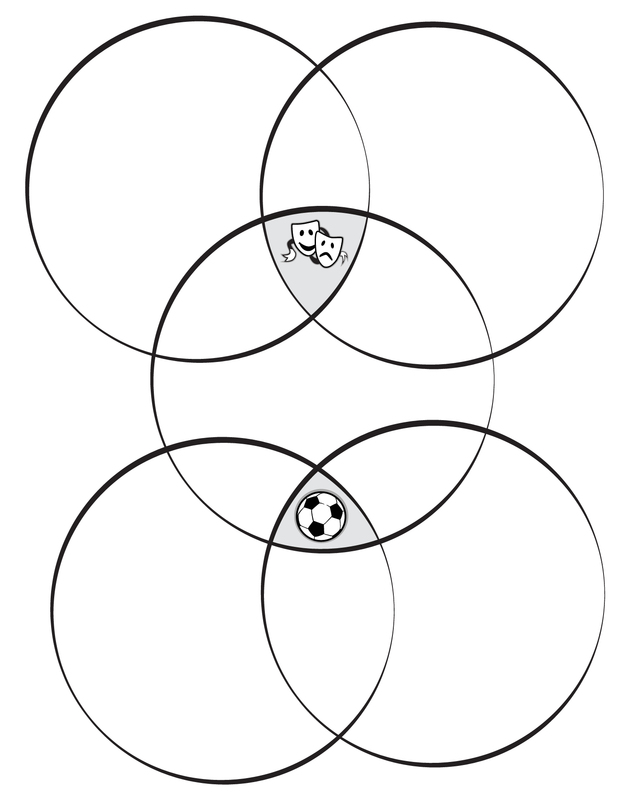 Through insignificant basic things such as having to push the ailing van in order to start the engine, to more complex situations such as dealing with ambition, betrayal, grief, and more, we see a continual expansion of each person’s world, a subsequent deepening of their communication, and an increase of the areas of their overlapping circles. Throughout the movie, we also feel that their common love for little Olive forms the background, or rather the center around which they all move. In the final scene, where, through a creative spontaneous act, all the protagonists join Olive on the dance floor, we basically experience the move from all previous activities on the edge of their overlapping circles towards a center they all suddenly discover they share! The ambitious father, the neurotic mother, the problematic teenager, the homosexual academic – all jump on the dance floor to accompany Olive to the tune of a crazy song that was chosen by the in-the-meantime deceased grandpa who had taught her to dance. The ever-increasing number of common elements they all slowly discover they share with one another leads to a deepening of their relationship and to a final movement from the fringes of their circles towards the center. All characters finally become one entity by meeting one another at the heart of their being. Such character development is not the exclusive domain of movies. We too may seek to both develop and expand our communication and relationships with others, irrespective of how we initially evaluate the prospects of a future bonding with them. And we can do this by being continually mindful of the processes by which we create our bonds and friendships, as well as by meditating on the limited and limiting way we view what we call our “common interests” with others. For each person we meet is a unique circle with a wealth of pebbles and areas of potential commonality that we can never imagine at the outset.